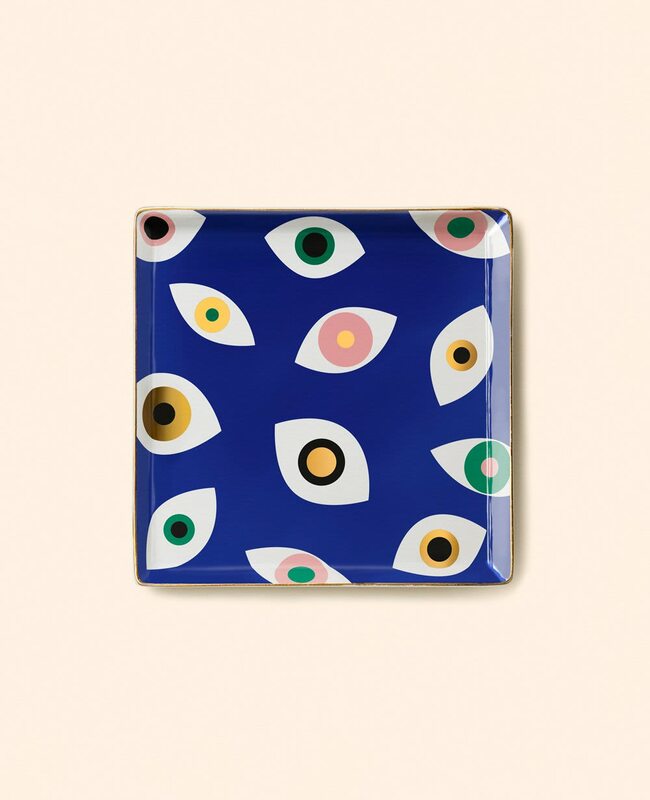 Beautiful, noble ceramic tray with the characteristic "Mati" = eye. Protects you and brings luck while looking fantastic on a chest of drawers in the hall or on your sideboard! Use it as decoration or for storage of jewelry or keys.